The kingdoms of nature is a relatively accepted term; there is general consensus that the plant kingdom is different than the animal kingdom. The animal realm is different than the mineral realm. 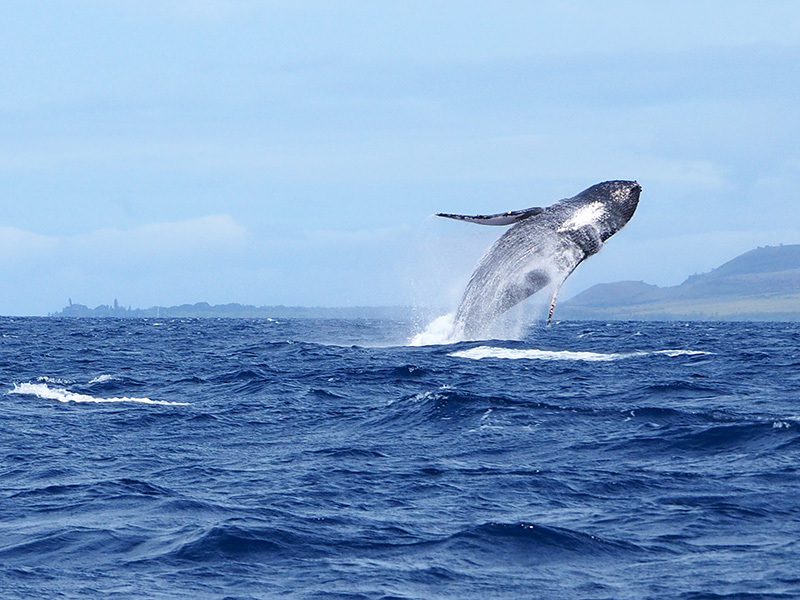 One of the feature characteristics of Nature is animation. Plants are animated. Humans are animated. Different realms, and different time frames. Minerals are animated; and one full human lifetime, from birth to death after a long life, is a nanosecond in the Mineral Realm. As humans, we can experience realms ‘below’ us; we experience, i.e., see, hear, touch, plants and animals, and minerals, rocks and soil. As humans, we are made up of elements from these other realms of nature, plants and animals in particular, and yet minerals play a huge role in our well-being. So, let us postulate, lay out, this concept of 4 Realms of Nature: Mineral, Plant, Animal, Human. One of the distinguishing characteristics that differentiates these realms is time-frame in relation to animation. Animals are animated. Humans are animated at a ‘higher’ level. Humans have an active animated Psyche. Plants are animated at a ‘lower’ level. We can see animals move; they can see us move. Plants move. Even when rooted. Minerals are animated if even humans don’t detect it. This feature of animation, or movement, exists within various time-frames, or what we might call ‘life-times.’ A modern person today will be animated, in the human realm, for about 8 or 9+ decades. Some animals are animated over a period of decades, some less; some insects in a matter of days. Trees range in life-time from a few hundred years to a few thousand years, and there are minerals, living atomic animation, still ‘alive’ from ages ago. This animation is not chaotic; there is structure and order such that people send people to the moon, and back. That is not possible without precise, structured, motion. It couldn’t happen if Nature is chaotic. The very complex processes that make up your physical body are not based on chaos. Psyche often appears chaotic, unorganized, emotional, and cognitive. The word ‘psyche’ is from Latin and Greek origins and literally translates into English as ‘breath.’ Current interpretations leans more towards ‘mind.’ There is a definite, intimate, relationship between mind and breath, the former being dependent upon the later. Modern calming techniques almost always include some form of conscious breathing exercises, to help relax and soothe Psyche, ease the Mind. Humans stand apart as a separate realm from animals because of the significantly higher animation, both physio-logically and psyche-logically. I refer to the human realm as the high animated realm, and the traditional animal kingdom as the low animated realm. Human becomes Hianim. Animals become Loanim. The Hianim Realm is 4. The Loanim Realm is 3. The Realms of Nature are structured. Cosmic structure is number based, and yet there are only 9 single digit numbers(each with a particular geometric shape,such as a triangle, square, pentagon or nanogon), and the collection of those 9 together (0).7 is a significant number in the esoteric teachings of Higher Nature. There are ‘7 days of creation’ in the Judeo-Christian theology, and 7 days of the week in our calendar system. There are ‘7 chakras’ in the subtle body, according to Yoga science. There are 7 colors of the rainbow and in music 7 notes of the diatonic scale. Snow White had 7 dwarfs. Other Realms of Nature exist. Hianims can be, and have been, viewed as the bridge between the lower three realms, the Loplex, and the higher three realms, the Hiplex. What realms exist ‘above’ Hianims? There are 3, just as there are 3 below. The loplex appears as objective, external; the hiplex appears as subjective, internal. We can see minerals, plants and animals, and fellow humans; we typically do not see the Etherial Real, the Angelic Realm, and the Celestial Realm. And yet, all exist within the sphere of existence we call Nature. The experience of ‘myself’ as an individual entity is a psychological fabrication; using the elements of these realms of nature, consciousness formulates an identity, and becomes attached to it, which is one of the most fundamental dynamics of suffering. We are so much more than our psychological identity. We are, essentially, Nature. There is a mirror-like correspondence between the outer, objective realms and the inner subjective realms. 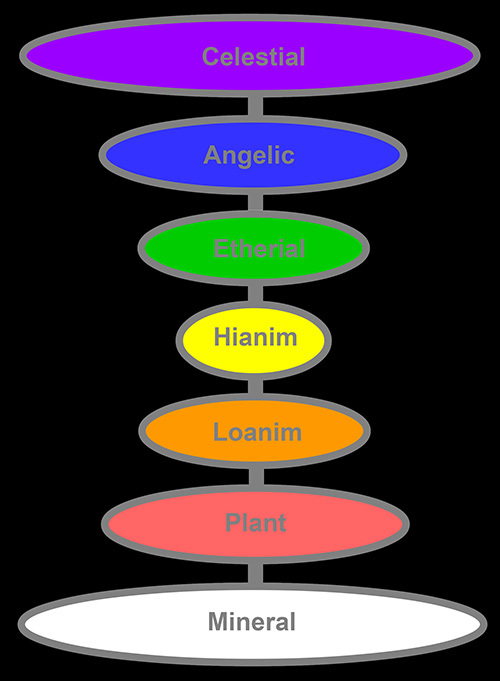 The etherial realm corresponds to the loanim realm, the angelic realm corresponds to the plant realm and the celestial realm corresponds to the mineral realm. Each realm is in itself a complex interwoven tapestry of Life, not to mention the vast ecological interplay and interaction of the realms with each other. Just as hinams are dependent upon minerals, plants and animals, so too is there a dependence upon etherials, angels and celestials. If there is one word that can convey the interplay of Nature, it would be Ecology. As mentioned above, the hianim realm is the bridge, or perhaps better phrased, the funnel, through which Mind Consciousness traverses the Realms of Nature from the loplex into and through the hiplex to the boundless beyond.